Eggs are one of the top sources of choline, a vitamin-like substance that is very important in brain development, memory, and learning. A diet rich in this substance will help your kid remember his school lessons better. Try 2-3 egg dishes a week such as omelettes, egg pies, and scrambled egg and cheese sandwiches. Fish is rich in DHA (docosahexaenoic acid) and Omega-3, which are brain building good fats. These help strengthen the connections in our brains, which are important in learning. Fish is also loaded with iodine, which promotes clear thinking (that is of great help when your child is taking a test!). Help your child build more connections in his brain—and in turn, make him remember more, understand more, and learn more—by serving a variety of fish such as tuna, salmon, and mackerel. Oatmeal and whole grain cereals are rich sources of complex carbohydrates that serve as brain fuel, which gives your child more energy to stay active during those tough math classes. They are also high in fiber, which digest slowly, leaving your child full for longer periods. 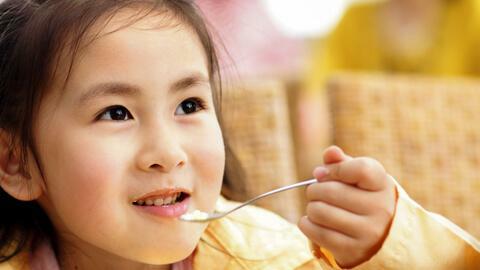 Studies also show that kids who eat oatmeal performed better on memory tests than those who did not. Cereals, on the other hand, are a great source of vitamin B12, which is linked with memory power. Make oatmeal and whole grain cereals more appealing by adding dried fruit (try raisins, apricots, and berries) and chopped nuts (try walnuts and almonds). Fruits are rich in vitamins, minerals and antioxidants, all of which help with brain health. Berries, especially, are rich in antioxidants. A diet packed with antioxidant-rich fruits, such as blueberries, strawberries, apples, and oranges, have been shown to boost brain function and researchers think that these fruits benefit human brain development. Other fruits are also rich in fiber, which regulates kids' bowel movements. The American Academy of Pediatrics report that constipated children often feel sluggish, lethargic, and distracted in school, so regular bowel movements help kids concentrate better in school. 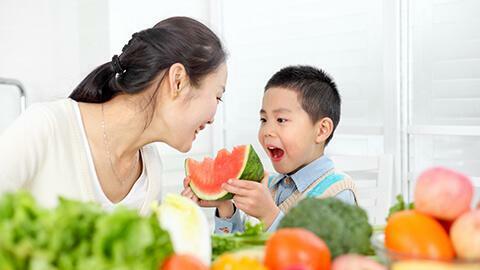 Teach your kid to love fruits by eating together some sliced watermelons, cantaloupe (what we call melon), and papaya; drinking homemade strawberry and banana smoothies, or serving up fresh fruit salad (made with chopped fruits, minus the syrup and cream). Beef and other meats like pork and chicken are rich in iron, which is an important component of hemoglobin in our red blood cells that carry oxygen to all parts of our bodies. Iron also plays a big role in brain development; even a mild iron deficiency can lead to learning problems, such as difficulty in concentration and lethargy. Your child might have an iron deficiency if he performs poorly at school. Give your child more iron by giving him his required two servings of meat a day (a serving is equal to the size of a deck of playing cards) by incorporating it in stir-fry vegetables. Filipino dishes like sinigang and adobo can also be made healthier when you use lean meats, or when you trim off visible portions of fat. Vegetables, especially green ones like broccoli, are rich in vitamins and minerals that are good for the brain and the rest of the body. Broccoli, in particular, delivers Vitamin K that helps improve brain power. Partner steamed broccoli with your meat or fish dish to pack a healthy, brain-boosting punch to your child's meal. Milk is an important source of protein, which help build up brain connections. It is also an important source of calcium, which helps keep bones strong. 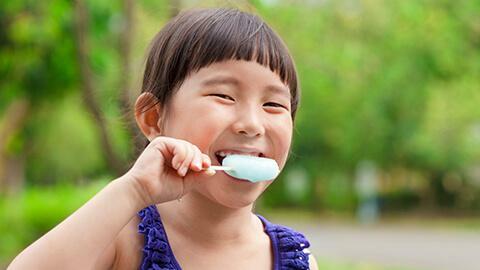 A diet that includes milk will help your kid stay mentally sharp and alert during class hours. The American Academy of Pediatrics recommends that kids have two cups (16 ounces or 480 mL) of milk a day.It also has iron, vitamins B6 and B12, zinc, iodine, and other essential nutrients, including the brain-building nutrients DHA and choline. • Shelov, Steven P. (ed). American Academy of Pediatrics' The Complete and Authoritative Guide: Caring for Your Baby and Young Child, Birth to Age 5 4th ed. Bantam Books. United States of America.